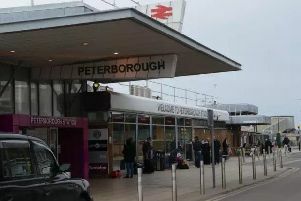 A man who was arrested on suspicion of drug driving after a hit and run in Peterborough which hospitalised a woman and two young children, has been given bail. Police and ambulance crews were called at 8.52am on Tuesday March 22 to reports of a collision involving a van and three pedestrians, a woman and two young children, in Reeves Way, Peterborough. The driver of the van initially left the scene but called police to report the collision shortly after. He was then arrested on suspicion of drug driving. The man, who is in his 20s and from Peterborough has now been released on bail until May 22. Yesterday, the East of England Ambulance Service dispatched a rapid response vehicle, ambulance officer, and two ambulance crews to assist.